It begins with our family of farmers. Since 1917, we have been a grower-owned partnership dedicated to sustainably producing good-for-you fresh berries grown by working family farmers. Whether they oversee a small family homestead or a large estate, our farmers define themselves less by commercial success and more by their close harmony with nature. Together, under the Naturipe® label, this group of passionate farmers was born out of the desire to unite their efforts. To ensure year-round availability with a commitment to seasonal produce, our fresh berries are farmed in the most optimal growing regions throughout North and South America. We have a new look, and we’re excited to share! Farmed Fresh Since 1917™, Naturipe is extremely proud of our company’s history. Our new logo and branding combines our heritage and our promise to provide fresh berries for the next years to come. Naturipe’s new labels are bright and colorful! We’ve also added map icons on the label to share the state your berries were grown. But our new look is just the beginning. Talking directly with our customers is a priority and we’re excited to share what Naturipe Farms is all about. We are committed to operating our business in a way that minimizes the environmental impact as we continue to explore and innovate the best sustainability practices as part of our “Cultivate with Care™” program. With these combined efforts, we’re excited to make the next hundred years every bit as successful as the previous hundred. “Cultivate with Care” is Naturipe’s commitment to operating our business in a way that minimizes environmental impact and simultaneously supports our local and global communities. Sustainability is a priority in every aspect of our company and farming operations, and it guides our decisions and actions related to environmental protection, resource conservation, ethical business practices, and the health, safety, and wellbeing of our employees and community. Fair Trade USA enables sustainable development and community empowerment by cultivating a more equitable global trade model that benefits farmers, workers, consumers, industry, and the environment. The Fair Trade Certified label indicates that rigorous standards have been met, demonstrating our grower-owners’ commitment to social responsibility. Naturipe continues to work closely with farmers to include them in our Fair Trade program. Check back soon for new farms! Learn more about the great things our farmers are doing for Naturipe’s Charitable Giving Fund. 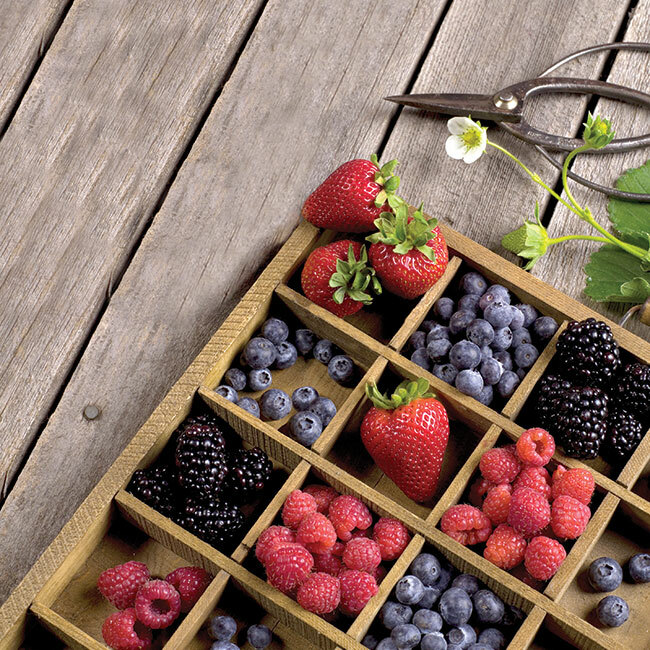 Naturipe® is proud to offer a full line of organically grown berries. In fact, when it comes to organic blueberries, we are the largest producer in the world. Our organic farms throughout North and South America are independently certified as having met rigorous USDA National Organic Program regulations, demonstrating our commitment to organic growing principles of biodiversity, ecological balance, sustainability, natural plant fertilization, natural pest management, and soil integrity. To find our certified organic products at your local grocer, look for our bright green labels emblazoned with the well-earned USDA Organic seal.